Are olives viable for Oregon? You are here: Home / Columns / Are olives viable for Oregon? With a column title like What I’m Hearing, I am always listening for new ideas, new plants, trends in garden centers and new plant trials. Recently in a conversation with Ann Murphy, a communications and marketing manager at Oregon State University (OSU), I learned that the OSU North Willamette Research and Extension Center in Aurora, Oregon was conducting cold hardiness trials on olive trees. 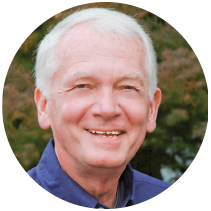 This topic was of particular interest to me, as I have had experience in my own garden with this issue. In recent years, I have noticed an increased interest in olive trees for home gardens. I don’t remember seeing olive trees for sale in a local garden center until just a few years ago. Today, the selection is still limited, but they are available, even though their performance in our area is not fully known. The variety ‘Arbequina’ has been the most readily available and is said to be winter hardy, but perhaps there are other varieties than might be even more so. Oregon currently has 15 commercial olive growers with Red Ridge Farms in Dayton, Oregon being the largest. Could olives become a viable commercial crop in Oregon? That is what scientists at the OSU North Willamette Research and Extension Center hope to discover. I talked with Javier Fernandez-Salvador, director for this olive tree trial project. While the focus for these trials is for the commercial grower to determine whether olives can become a viable crop in Oregon, much of this information can also be applied to the home garden. This particular trial consists of more than 90 different cultivars that will be planted in an open field with no protection from the elements. There will be supplemental irrigation to get the plants established. Since olive trees are sensitive to cold temperatures, it is believed that planting them early in the spring will offer the trees a better chance of survival. Researchers expect the trees will have the opportunity to become somewhat established in the ground before winter. 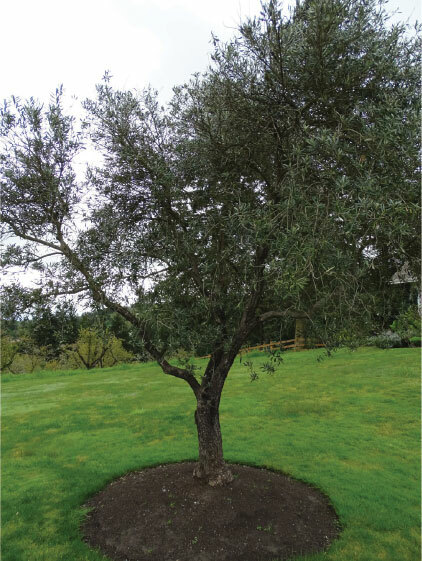 Heather Stoven, OSU Extension horticulturist for Yamhill County, has found the olive trees difficult to propagate. Heather is experimenting with various rooting hormones, the timing of taking the cuttings, and the medium to use. Olives are not grafted, but are grown on their own roots. Neil Bell, OSU community horticulturist for Marion and Polk County, is working on the cold tolerance aspect. Some cultivars will tolerate the low temperatures much better than others. The issue of cold tolerance has been the limiting factor to olives becoming a commercial crop in Oregon. For home gardeners, olive trees should be planted in a location with full sun. A slightly sloping area would probably be optimal. Gardens tend to have microclimates, and one should avoid planting olives in any cold pockets. Home gardeners have probably been told many times about the importance of getting a pH test of their soil. This is very important for olive trees, which tend to prefer a more alkaline soil than is typical in Oregon. Our soils often have a pH of 5.8-6.0, whereas olive trees like a pH of 7.0 or just above. In most gardens here, the addition of lime at time of planting would be advisable. Olive trees generally are relatively insect- and disease-free in our climate. In selecting a tree, choose one that is multi-branched. Rather than having the trunk exposed in the winter, the addition of branches would offer some protection. Olive trees bloom young and early in the season. They are wind pollinated, and research is being conducted as to which trees make the best pollinators. Unfortunately, it appears that the best pollinators are also the most cold sensitive. While home gardeners may get some fruit on their tree, I think it is best to plant an olive tree for the tree itself and not for the prospect of getting a crop. My experience with planting olive trees has had mixed results. The outcome was eventually fine for me, but might not have been for others. I bought three ‘Arbequina’ olive trees in June 2012. They were standards, single trunk, and I thought I had the perfect place for them. It was an area along our driveway between our house and a neighbor, and since we had hops already growing there, we thought olive trees would be a good a fit. It was on a slope and received very intense summer sun. For the first few years, they did fine, but then we had some extremely cold winter temperatures and they suffered extensive damage. The entire canopy of the trees died and I was prepared to take them out. I procrastinated until late spring and then noticed new growth coming from the base. I removed the single trunk and cut it off at ground level. Today, I have three multi-branched olive trees. They actually fit into the area better than the original standards. For the past several winters that has been no damage and the trees are thriving. I think that olive trees can be a beautiful focal point in a garden. Their silver foliage provides a nice contrast to abundant greenery. Older trees can be a major focal feature in the night garden if you place a spotlight underneath. Even though the verdict is still out on which cultivars are the best for cold tolerance, they are worth trying. It will be interesting to see the results of the current trial at OSU NWREC. In the meantime, check with your local garden center and do some experimenting on your own.